Local Wally Knows Sonoma! Follow Local Wally's Blog for stories, deals, and reviews in and around Sonoma. CHEAP WINE TASTING IN SONOMA - FREE! Yes, believe it or not there are still some wineries who give away free wine tastings. Most of these are not in the main part of Sonoma however, but further north in in the Russian River Area. There are enough freebies up north to warrant a special trip. So what are you waiting for? Gas up that rental and get going for free and cheap wine tasting in Sonoma, Healdsburg, and the Russian River area! 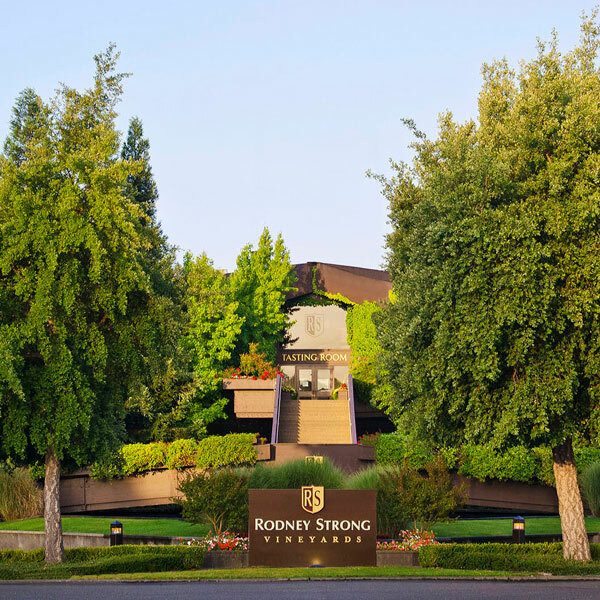 Family-owned estate, producing nine varietal wines and proprietary blends. A small Sonoma County family wine business; Bill Arbios makes the wine. At 2,000 feet above the Alexander Valley, the highest winery in Sonoma County and the only winery located in the new Pine Mountain-Cloverdale Peak Appellation. GET A WINE PASS FOR MORE DISCOUNT SONOMA TASTINGS! Just $39.99 per couple for my readers, order the card and flash it for free wine or two for one's at over 75 Sonoma and Napa wineries, including many with exclusive offers and VIP tasting experiences. It pays for itself as long as you visit 2 or more wineries. Highly recommended! Click to Order Now! Based out of an industrial park in the city of Santa Rosa, Carol continues to meticulously hand-craft her wines with a combination of experience, creativity, and passion. Mega "Winery Wonderland" with giant pool, restaurant, shops, and lots of movie memorbilia. Frick Winery is a one man winery creating Viognier, Syrah, Cinsaut, Merlot, Carignane, Grenache, Grenache Blanc and Counoise from hillside vineyards in Dry Creek area. By apptointment only - From the beginning, it was their goal to produce only the kind of wines they liked to drink - sauvignon blanc, cabernet sauvignon, zinfandel and syrah. Right in the Sonoma Plaza, a great free winery stop among the shops and restaurants. Family-run operation of both wine grape farming and wine production, located at the northern end of the Alexander Valley. Lovely stone building near the south tip of Sonoma. Located on a scenic 144 acres situated in the hills of the Petaluma Gap on the crown of the hill above Highway 101 in Sonoma County, the vineyard enjoys a panoramic view of the surrounding county. Lovely drive in the countryside lands you at Korbel where you'll find free wine and free tours and a deli for picics. Wines of numerous area producers are offered for tasting & sale in a rustic, warehouse-type setting. Merry Edwards, produces critically acclaimed Pinot Noirs in the Russian River Valley. By appt. only - For more than three decades we've produced premium grapes that have contributed to a multitude of award-winning and notable wines. Every bottle of Optima is handcrafted with a focus on striking a perfect balance between beautiful fruit, silky tannins and a lingering finish. Known throughout the world for its unique estate-bottled and vineyard-designated wines. Specialize in ports and after-dinner wines including Grappa, DECO Chocolate Port and an Aperitif. Every wine is served with delicious food creations from our winery kitchen so you can taste the wine alone, then experience how it works with the food pairing. IS VISITING COPPOLA WINERY WORTH THE TIME? Before I start I need to say right up front that I have a ton of respect for Francis Ford Coppola, both as a movie director and as a Napa and Sonoma winery owner. He did a good thing with Inglenook in Napa, taking a wonderful old historic winery and helping it find its way back from Jug Wine Hell to its more pure, original fine wine state. I tell people all the time to go there and I mean it. The bistro is great, the setting beautiful, it's iconic. Of course Coppola ran into a bit of controversy when he added movie memorabilia to Inglenook. Purists were appalled that there was a Tucker car upstairs in the historic winery. He listened. And he decided to build a separate winery in Geyserville that made no apologies to his film making background and marketing instincts. He once described this as a Winery Wonderland, a place for families (yes, kids welcome) could spend a day. And with that in mind, he succeeded. Let's start with the pool. Wait - What? Yes, there is a resort style pool on the premises where you can rent cabanas and get cocktails and pretty much stay the entire day. He said he always felt bad for the kids at Inglenook who wanted to jump in the fountain so fixed this problem by building them a pool. Reservations required. As for dining, the main dining room is called RUSTIC and features what they claim are some of Coppola's favorites. The menu is quite varied, ranging from $12 spaghetti to $95 steak for two. I opted for the whole trout cooked encased in salt and it was surprisingly well prepared. I didn't expect the food to be this good, to be honest, especially in a setting that looks a bit like the fancy restaurant at Disneyland. Vineyard views on the outside patio, don't shy away if you're hungry. For more casual dining find a place at one of the bars. And in case you were crazy enough to bring your kids on a winery vacation, there are smoothies and kid food out by the pool so everyone is happy. And yes, if you want to see movie props such as the Tucker car or The Godfather scripts, this is the place. Lots and great movie memorabilia and gift shops, you can spend hours just roaming around to see the displays, sipping and eating along the way. So right around now you might be asking "how's the wine?" and all I can say is that I never got there. Seriously, I never made it to the tasting room because it was so packed. Yeah, forget about the "free tasting" come on that you'll see pop up on the internet. That would be like trying to have dinner at Costco by eating the free samples. Instead reserve one of their other tasting experiences, Or just forget about wine tasting completely. I mean, this isn't like you're in some quaint boutique winery chatting with the winemaker. You're in a, well, Winery Wonderland, a theme park sort of winery. And while critics may say it lacks the authenticity of a more traditional winery there's no denying that Coppola succeeded in his vision to build a winery to showcase his life's work, from film making to wine making. SHOULD YOU GO? There's no denying that this is a sight to see, an experience unlike any in Napa and Sonoma. It can get as busy as a theme park and the wine tasting experience isn't going to compete with what you will find at a smaller winery but there are plenty of people enjoying it. My recommendation is to go only if you really want to check it off your bucket list. The movie memorabilia, the glitz, the sheer spectacle of it is quite impressive. But perhaps less impressive is the actual wine tasting experience and maybe that doesn't even matter in a setting like this.